The Market Mogul is raising £300,000 investment on Crowdcube. Capital At Risk. The Market Mogul is a Millennial media company, publishing unique perspectives on the main global events of our time. Backed by a VC fund and having built an engaged readership and over 3000 authors, this round of funding will be used to expand the editorial and sales teams, & launch new verticals. We are a Millennial media company publishing unique, diverse and inclusive perspectives on global affairs, business, finance and politics. Our ‘Mogul Newsroom’ makes us disruptive through our combination of editorial oversight and process optimisation, enabling us to publish thought-provoking articles in under 25 minutes, at approximately 0.4% of the cost of some traditional media companies. Our obsessive focus on providing the best reading experience results in engagement rates higher than most online media news outlets. As a result, our content has been used in articles on Forbes, Mashable, Bloomberg, The World Economic Forum and many others. Our articles are read by a growing, high-value Millennial audience. The typical reader on The Market Mogul is an 18-35-year-old, financially literate, graduate professional, with household income $150,000+ per annum (Source: Quantcast). To see the rest of the The Market Mogul pitch, join now. 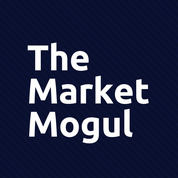 Join to read more information about the The Market Mogul team, documents, and what other investors are saying about the pitch.